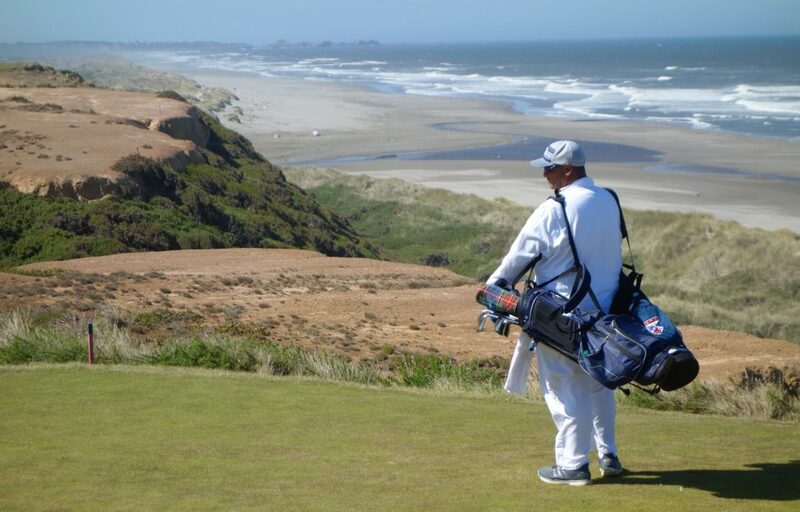 My attitude towards Bandon Dunes prior to my first visit was a mixture of emotions. 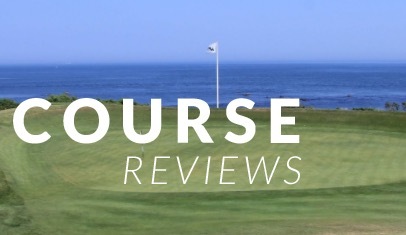 On one hand, I desperately wanted to visit the property and see the famous courses in person. On the other, I didn’t want be one of the Bandonistas who does nothing but sing the praises of the resort while comparing it to everything else. 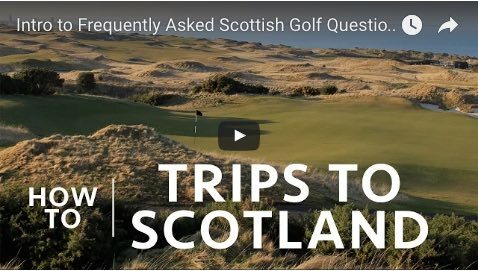 I can’t tell you how many people I caddied for in Scotland who would say, “Yeah, I played the Old Course yesterday… it’s nothing compared to Pacific Dunes.” I won’t delve into the problems with that statement, but comparisons like that made me want to buck the trend and approach my trip with a critical mind. 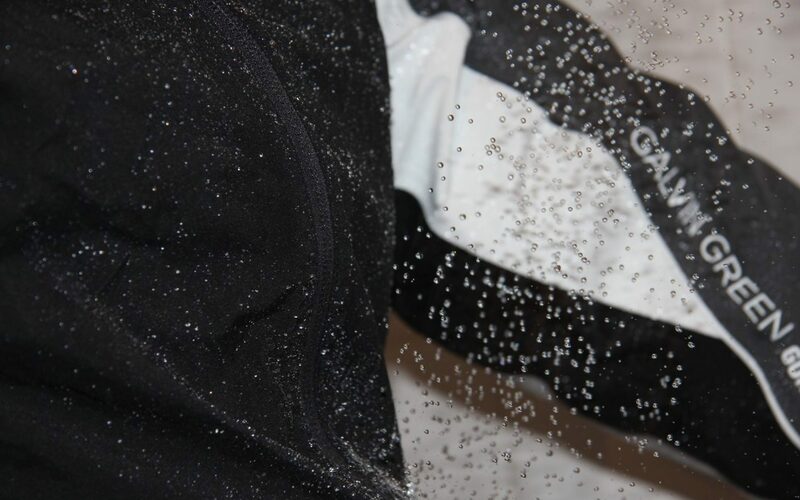 However, in the weeks leading up to the trip, my attitude began to shift. 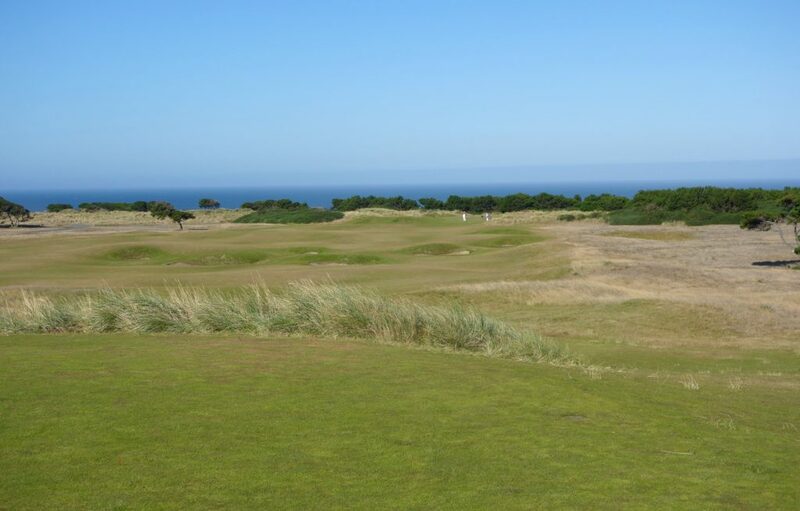 The main reason was reading Stephen Goodwin’s Dream Golf: The Making of Bandon Dunes. 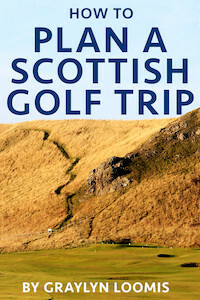 The book is as much about Mike Keiser as it is about Bandon Dunes; reading about his appreciation for Scottish golf and the ethos behind the resort really deepened my respect for both Keiser and Bandon. 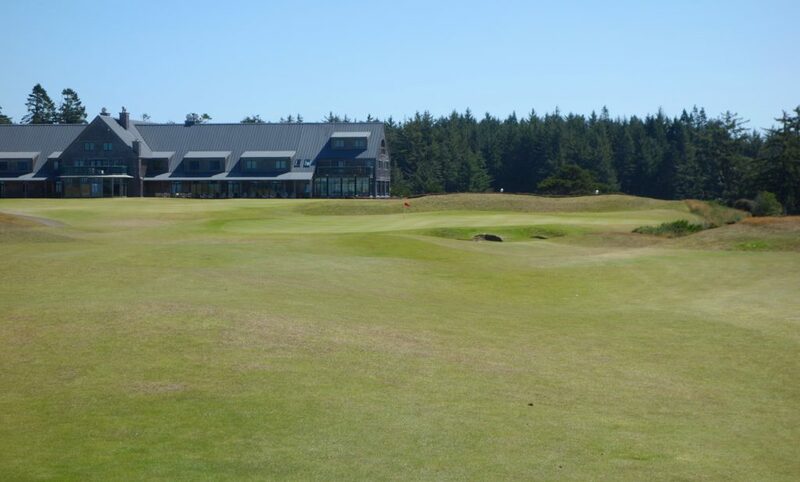 Bandon Dunes Golf Resort has a total of four golf courses, plus a 13-hole short course. 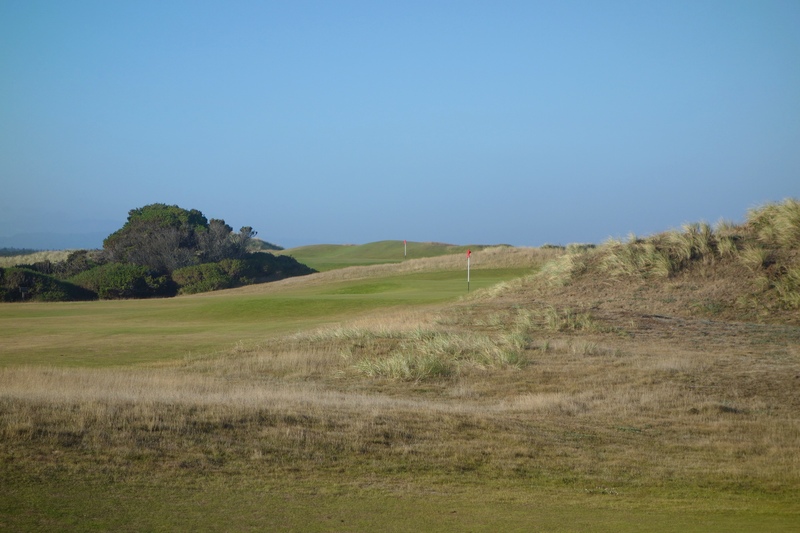 By the time I played my second round of the trip on David McLay Kidd’s Bandon Dunes course, I was already a big fan of the place. 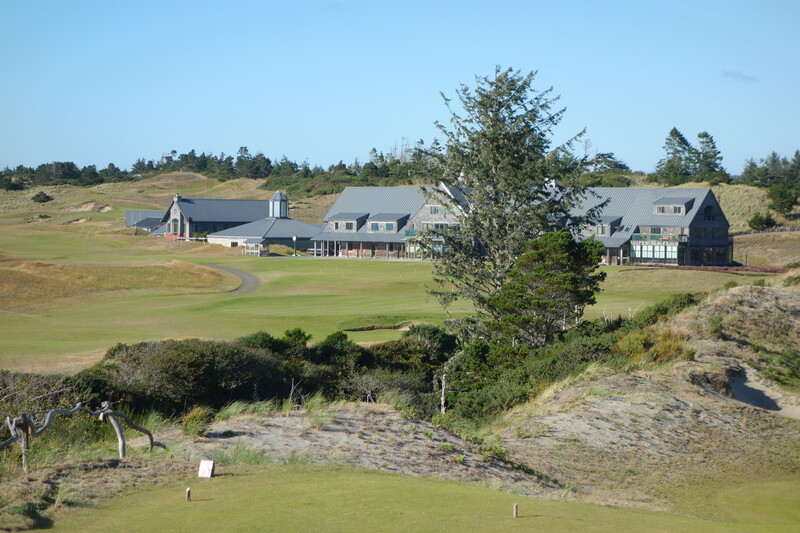 I had read extensively about the construction of the course, which was the first built on the property. 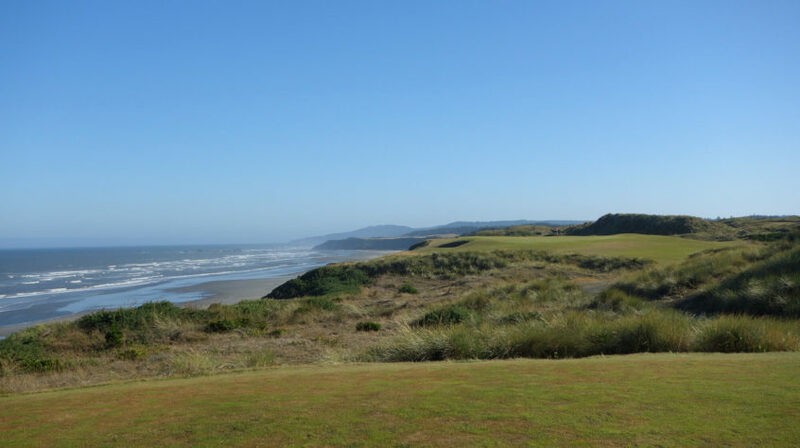 We had played Pacific Dunes the previous day, and I had been told that Bandon was a slightly tamer version of that first round. 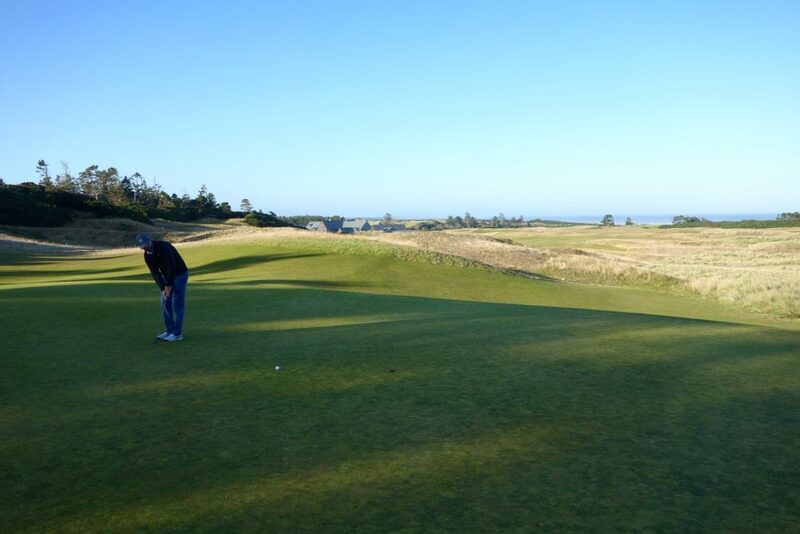 The high winds from the day before had subsided, and we had a beautiful morning to play Bandon Dunes. 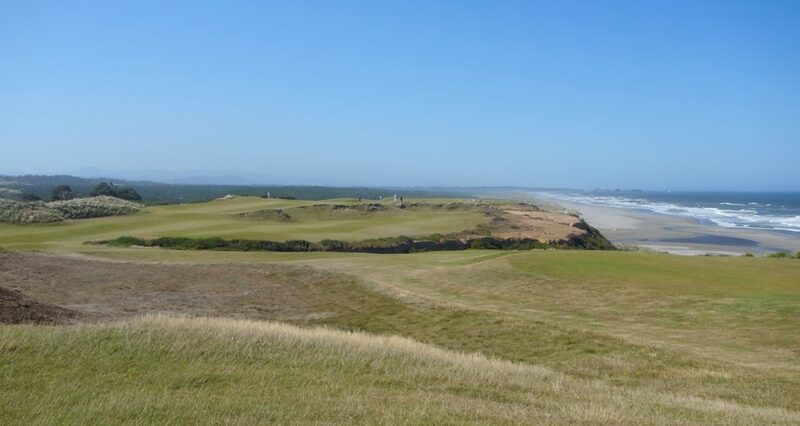 I approached the round at Bandon Dunes trying to balance what I had heard and read about the course with my personal experiences on other Kidd designs. Frankly, the other Kidd designs hadn’t been my favorites. 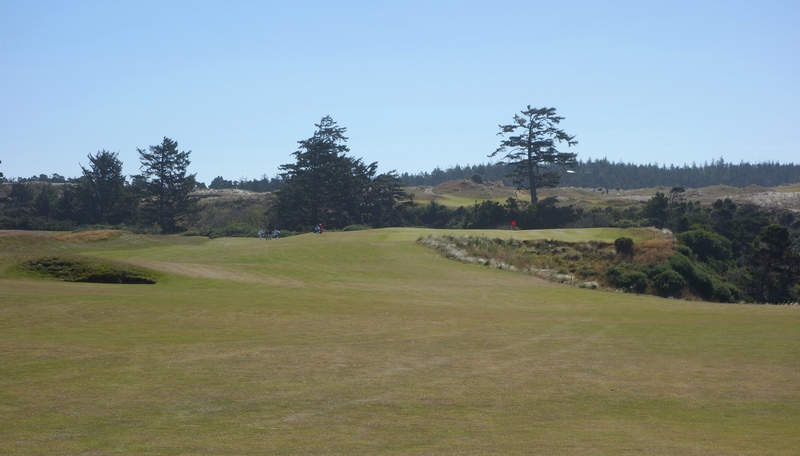 Many were very difficult with tough greens, extremely difficult grassy fairway mounds, and blind shots. 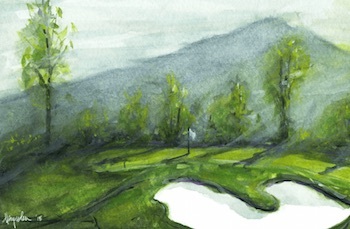 I had finished his other courses thinking, “Wow, that was different and beautiful,” but I would never classify them as really enjoyable courses that I would want to call home. 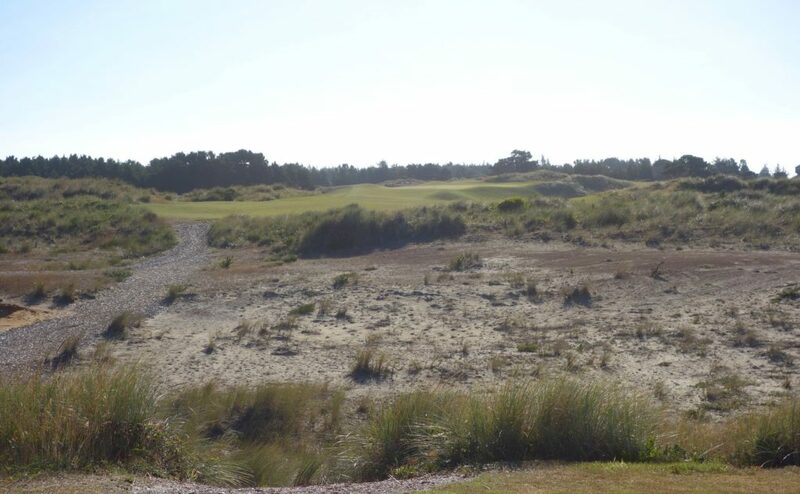 As you’ll see in the hole-by-hole review below, Bandon Dunes really doesn’t have any of those “tricked up” features I mentioned above. 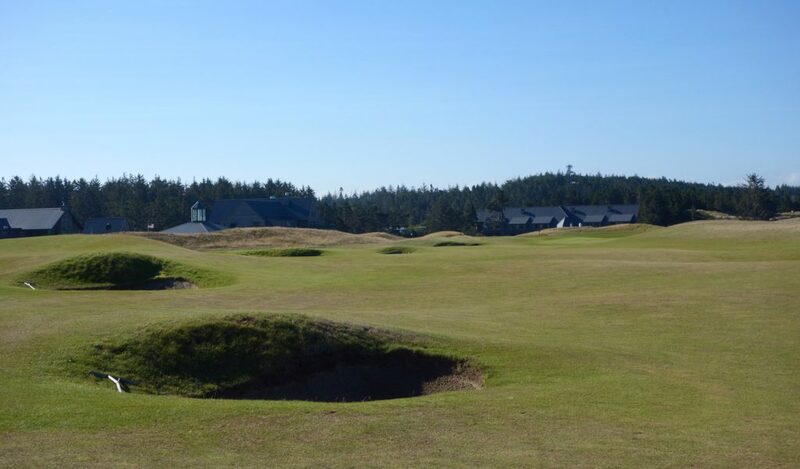 The fairways are open, but require accuracy due to great bunkers. 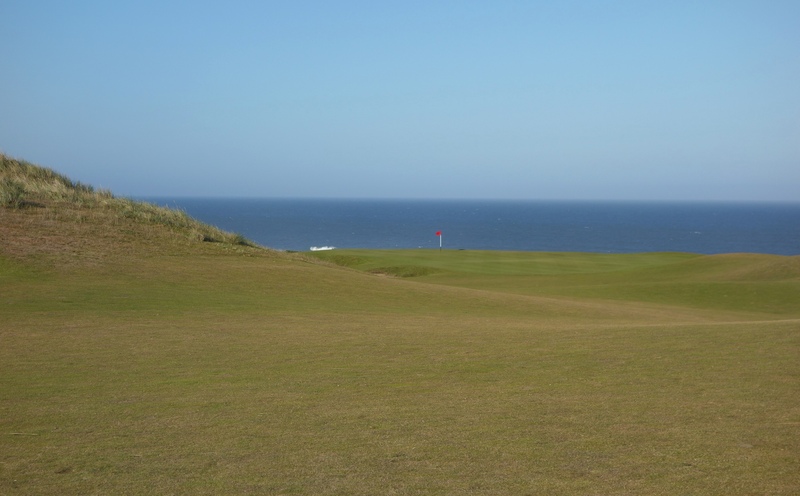 The greens aren’t overly sloping, and nearly all of the course is right in front of you off the tee. 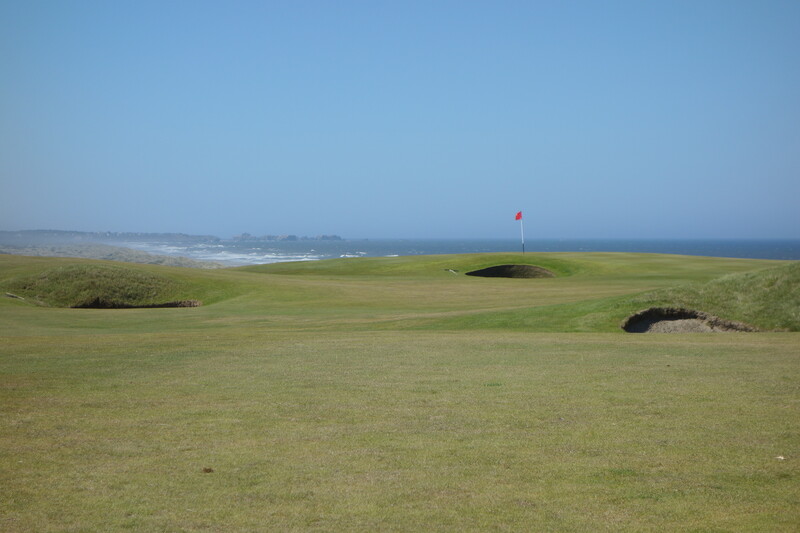 I finished the round and my mind was drawn to a column David Kidd wrote for LINKS Magazine called “My Journey to Understanding.” Read it for yourself, but it explains the evolution of his design philosophy, and after reading it, Bandon Dunes makes more sense in the context of his other designs. 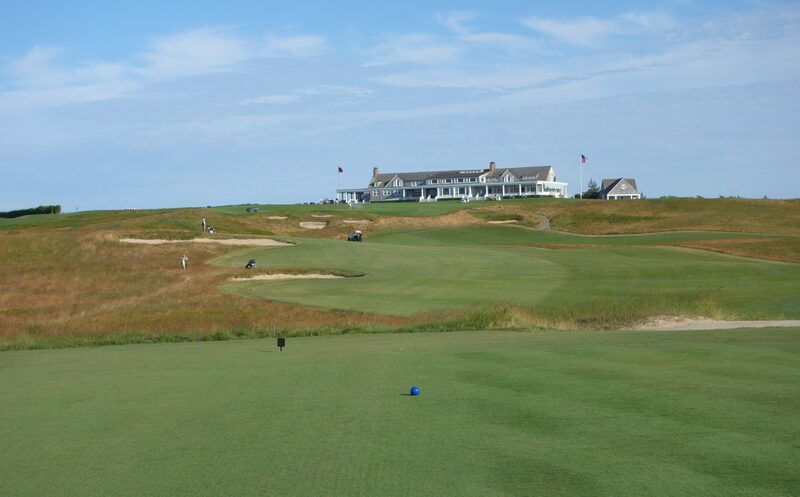 Hole #1 – 352 yards – The course begins with an open tee shot and uphill approach to a large green. 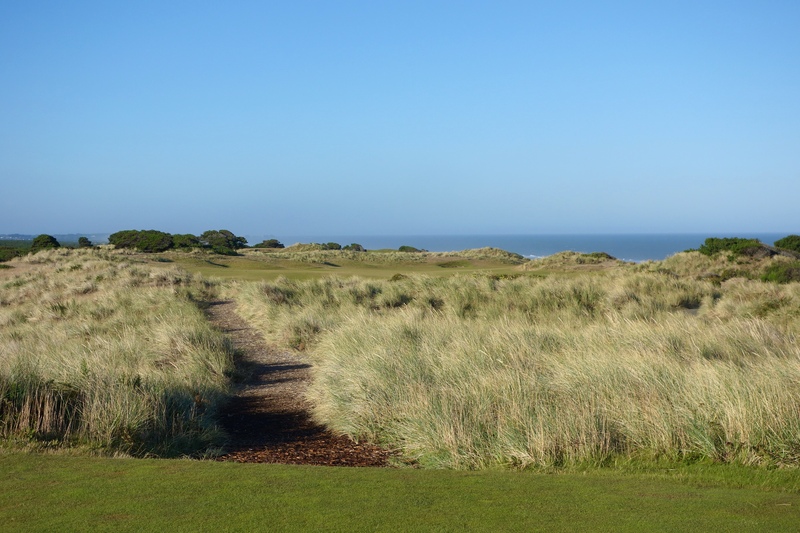 Like many Scottish courses, the first tee is only a few steps from the back of the clubhouse (or Lodge, in Bandon’s case). 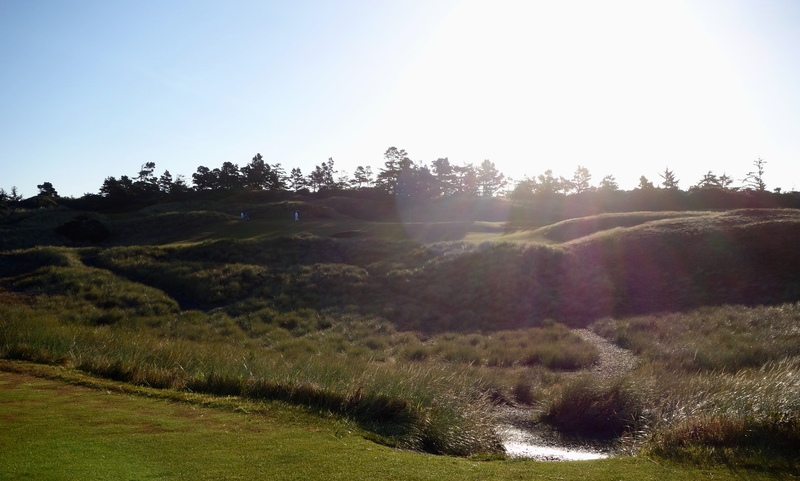 Hole #2 – 155 yards – This uphill par 3 played straight into the early morning sun. 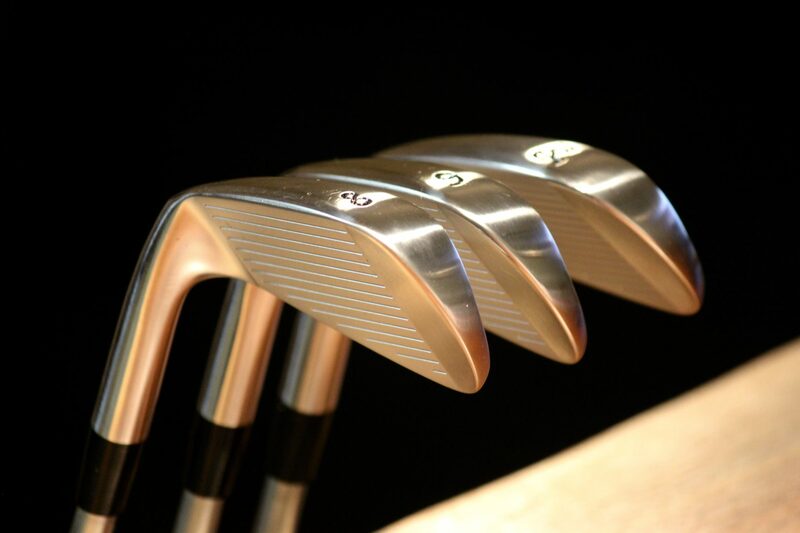 Whatever you do here, play enough club. Short is dead! 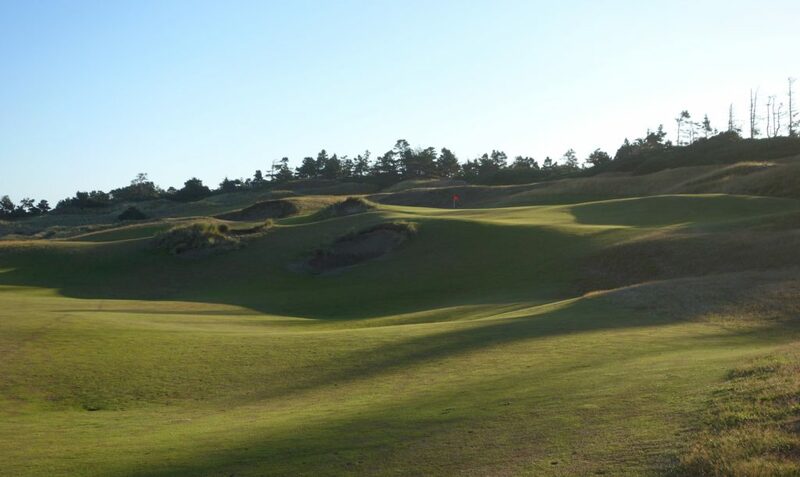 Hole #3 – 489 yards – This par 5 features a downhill tee shot and green with a narrow entrance. 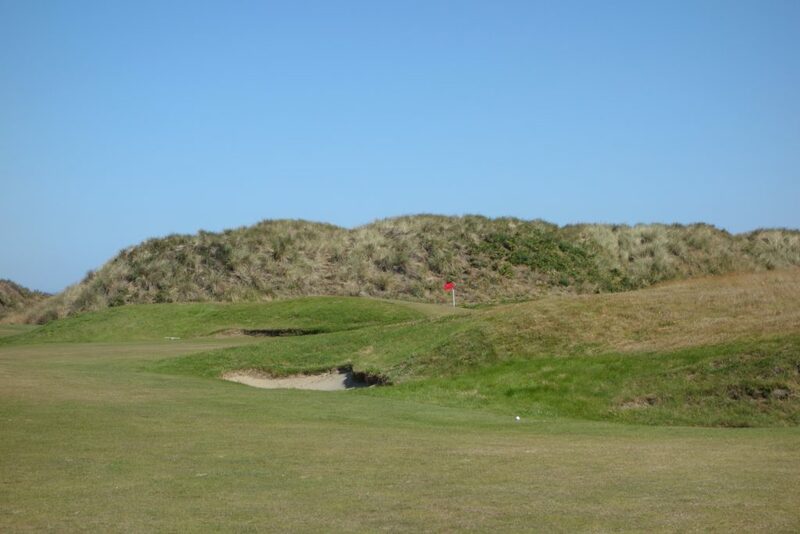 This is the first point in the round where Scottish green complexes/bunkering become obvious. Hole #4 – 362 yards – Now we head for the ocean. 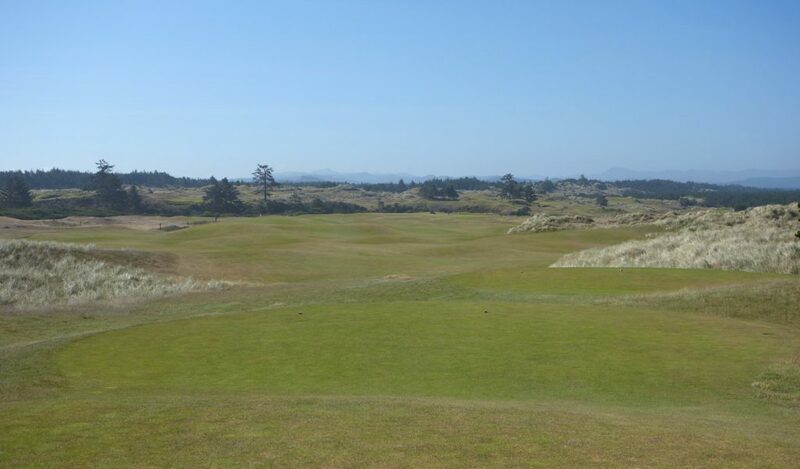 The fairway narrows at the two dunes in the right half of the photo below. From there, you look between them and see the green, framed by the water beyond. 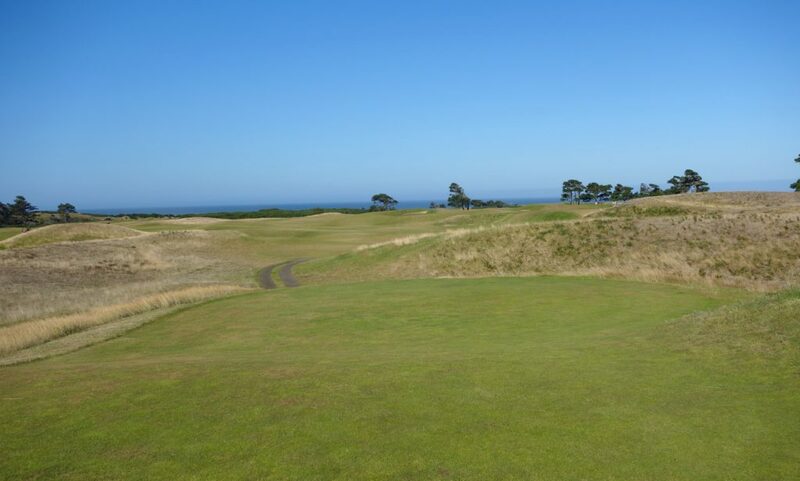 Hole #5 – 400 yards – I still don’t know the best line off this tee… The wide fairway narrows closer to the green, which slopes from back to front. 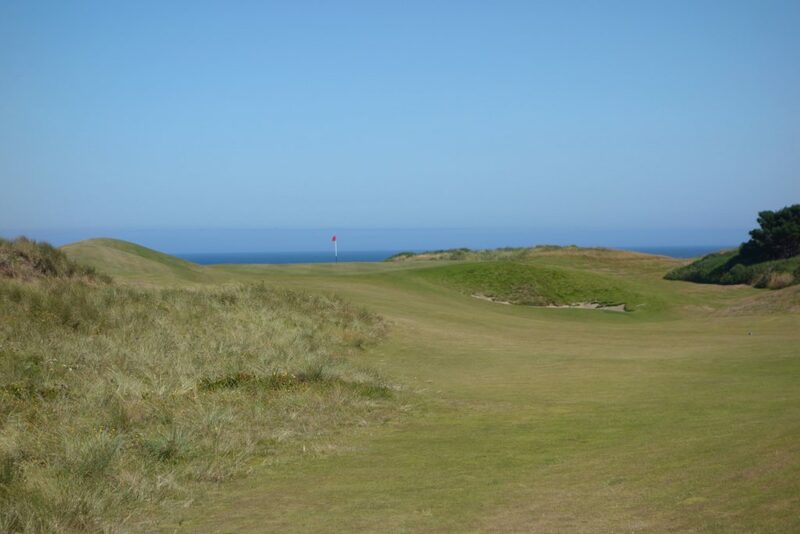 Hole #6 – 153 yards – This oft-pictured par 3 plays alongside the cliffs. The deep bunker on the left is the only saving grace if you tug your tee shot here. 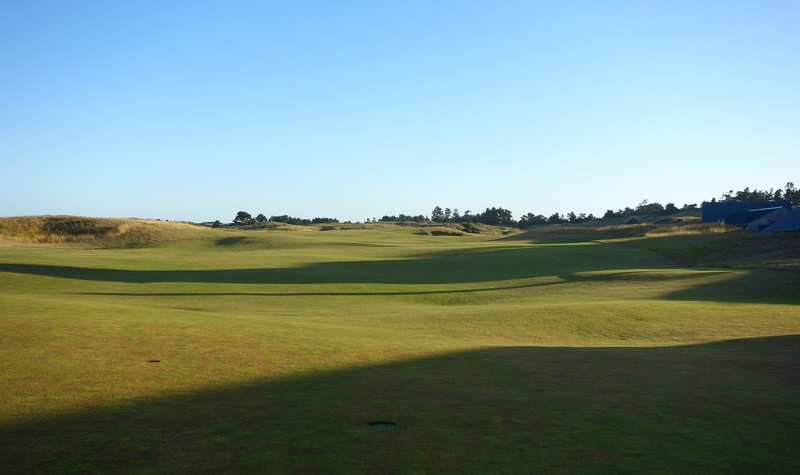 Hole #7 – 372 yards – Staring right back into the morning sun, the 7th hole features a raised green where the worst miss is right. 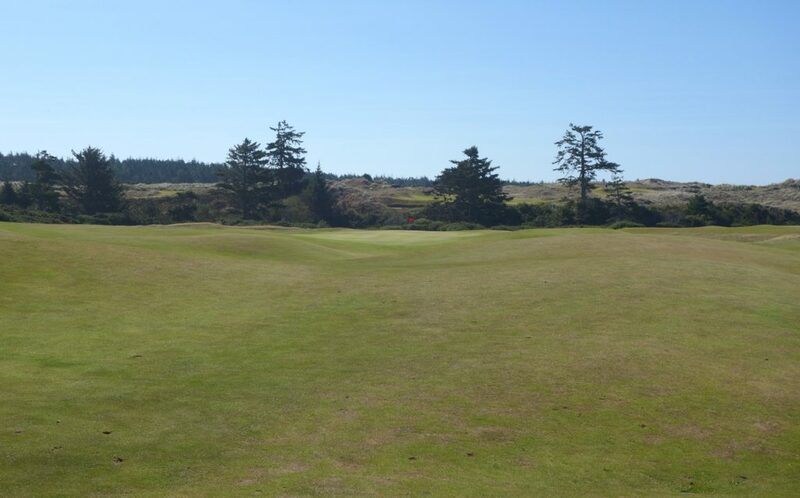 Hole #8 – 342 yards – Mid to long hitters can carry the cross bunkers from this raised tee, but they should err on the left side. 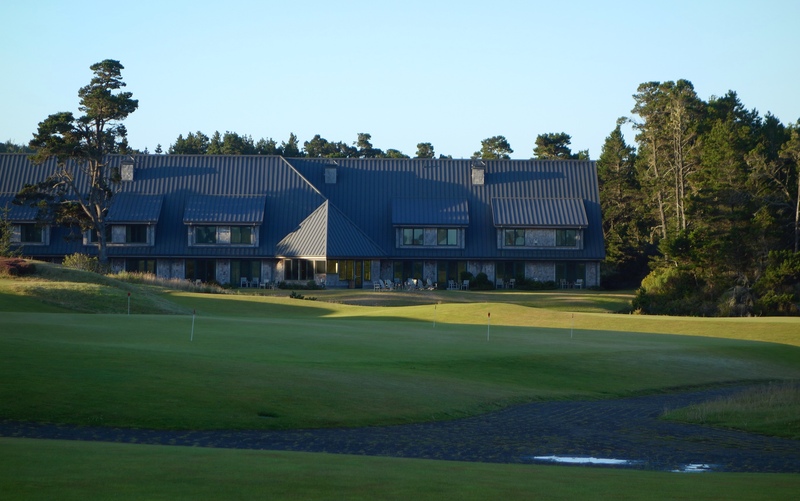 The sloping green also offers up a huge range of possible pin placements. 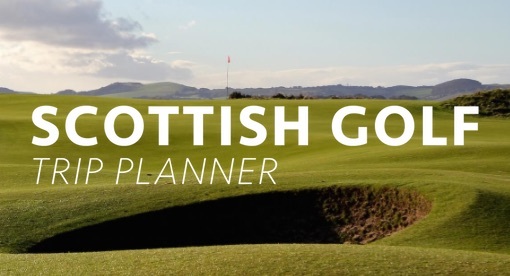 Hole #9 – 529 yards – Bunkers are strategically placed in the perfect landing area in this fairway, and they are bunkers in the Scottish sense of the word… a true one stroke penalty! If you avoid the bunkers, it is possible to run your second shot up onto this par 5 green. Hole #10 – 362 yards – This blind hole is confusing off the tee. 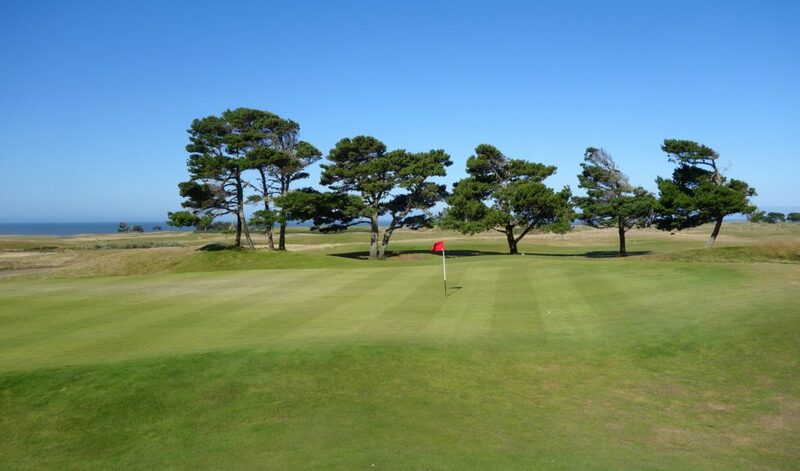 Have a look at the photo below and try to spot the best line… The group ahead is actually on the green, and you can see them on the right backed by the trees. The green also has a series of mounds in front, obscuring the approach shot. Hole #11 – 351 yards – Approach shots are shorter the further left you play off the tee, but that area is guarded by some mean bunkers. The raised green has a single deep bunker in front. Hole #12 – 153 yards – The back really starts to take off as the routing approaches the ocean. 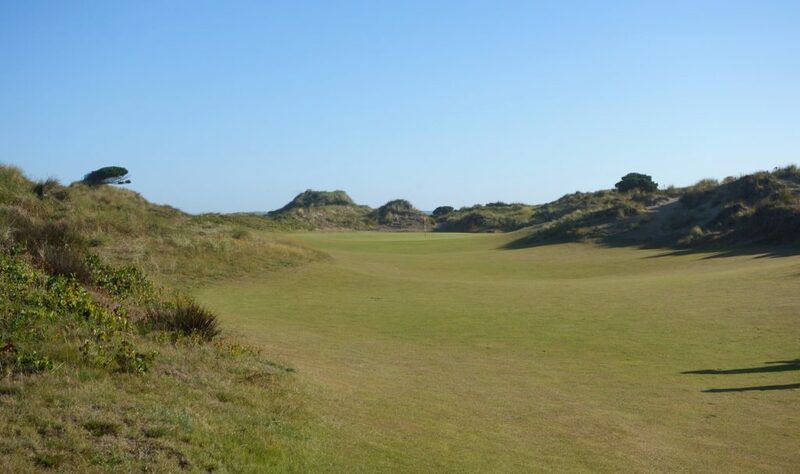 When the wind is blowing on this exposed par 3, just brace yourself. The video below is a shot from that front bunker. 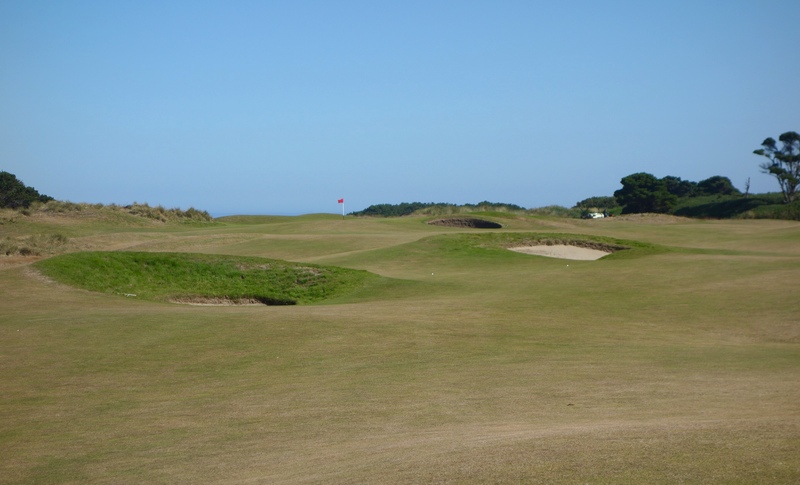 Hole #13 – 537 yards – This is a big, open par 5. The approach to the green is open as well, with the real challenge found on the large, sloping putting surface. It is at this point in the round that you first see the dunesland in the distance where Bandon Preserve is located. 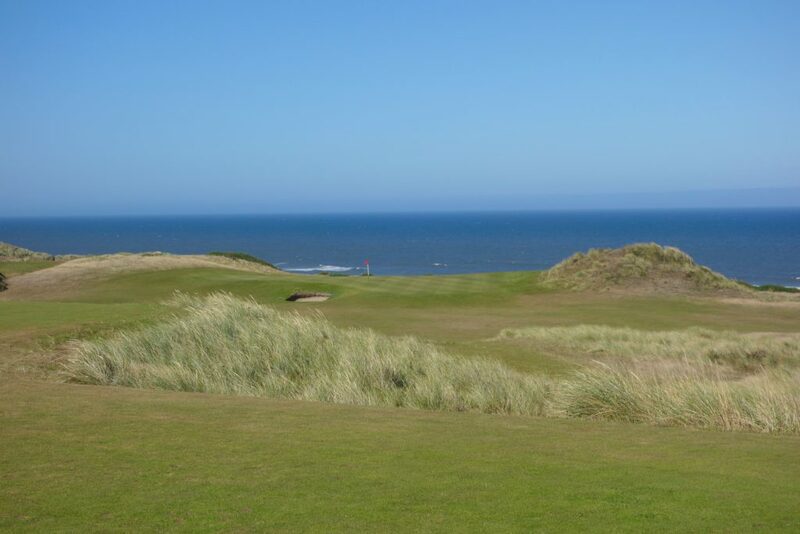 Hole #14 – 352 yards – Avoid the bunkers dotted throughout this hole. The green is obscured by mounds and is protected from the wind by a huge dune just behind it. 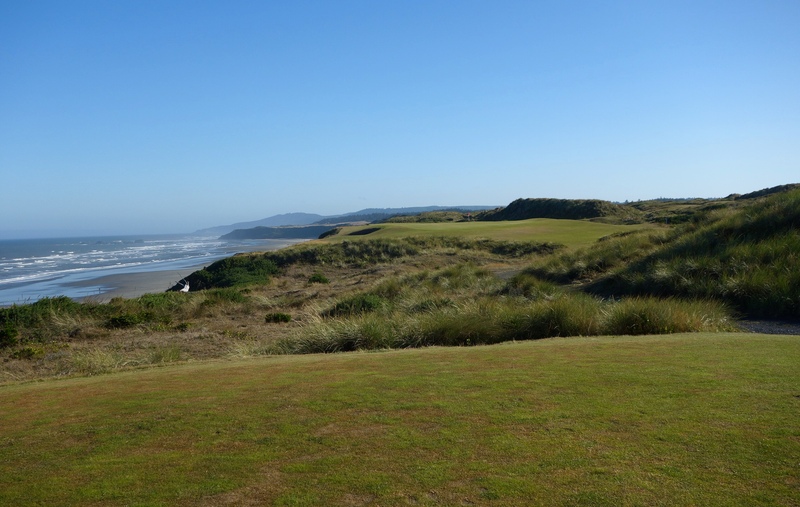 Hole #15 – 131 yards – Yet another stunning par 3 playing toward the Pacific Ocean. Distance control is crucial here with the massive false front and bunker short, and slopes and a collection area long (as seen in the second photo below). 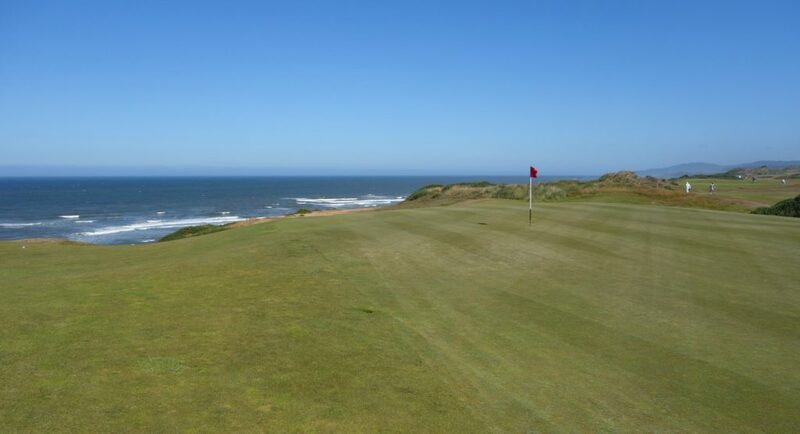 Hole #16 – 375 yards – This hole is one that I can’t wait to play again… Depth perception is difficult to gauge, and while the distance on the card follows the fairway on the dogleg right, you can actually drive this green. The approach to the green on the top level of the fairway is dotted with small bunkers. The view from this green has to be on the list of the best in golf. 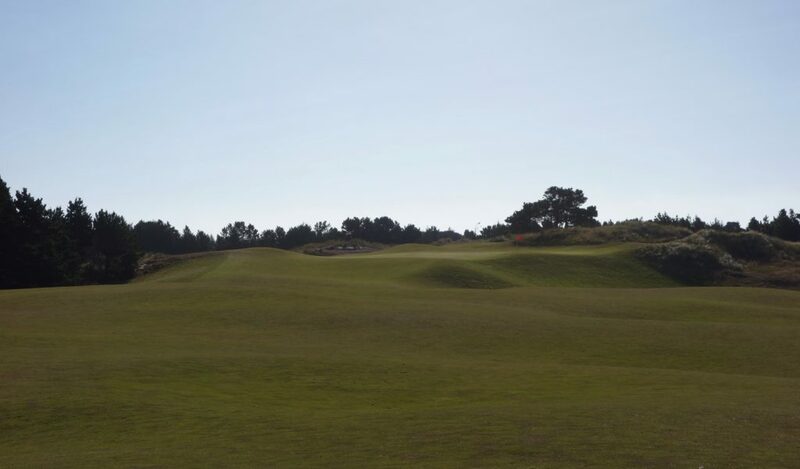 Hole #17 – 375 yards – This par 4 plays alongside a ravine that runs the entire right side of the hole. 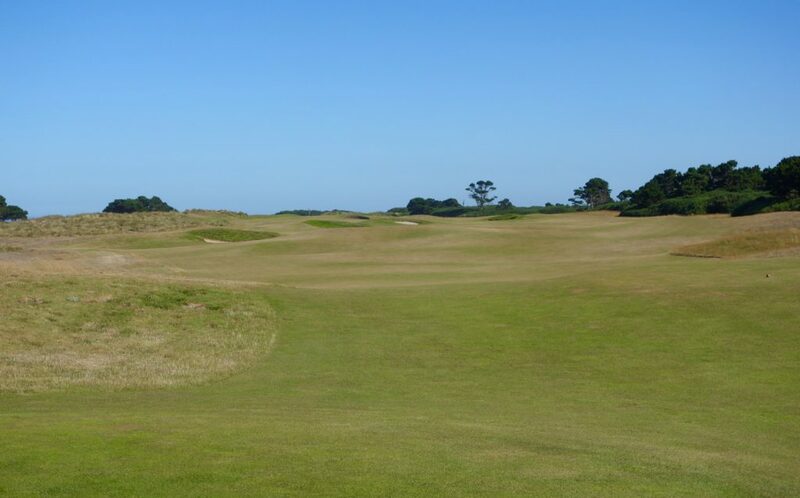 A long iron or hybrid off the tee leaves a short iron on this intimidating approach. 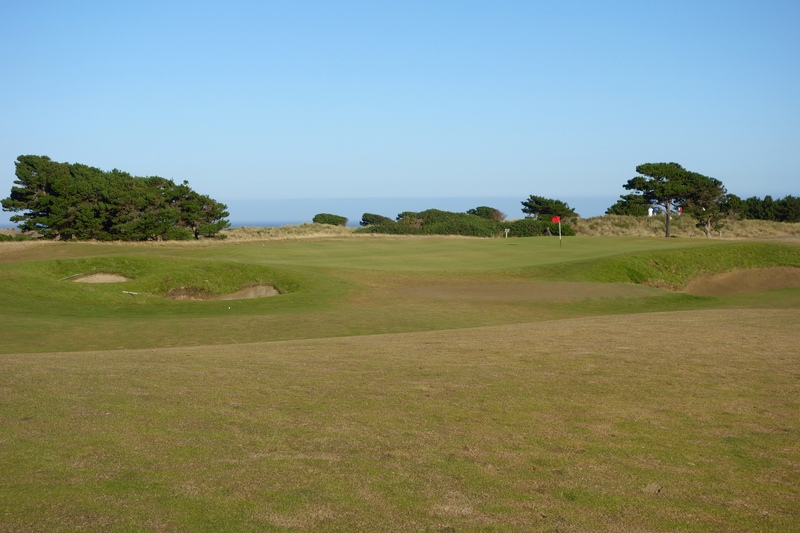 Hole #18 – 513 yards – The final hole provides a great birdie opportunity. Longer hitters can feed a second shot onto the front left portion of the green, but there is a very wide landing area for any layups. My room in The Lodge looked right out onto this green, so I spent time the night before our round contemplating how I would take on the hole! Bandon Dunes was less dramatic than Pacific Dunes, but the design was no less enjoyable. I can imagine in those early days of the resort when Keiser et al. 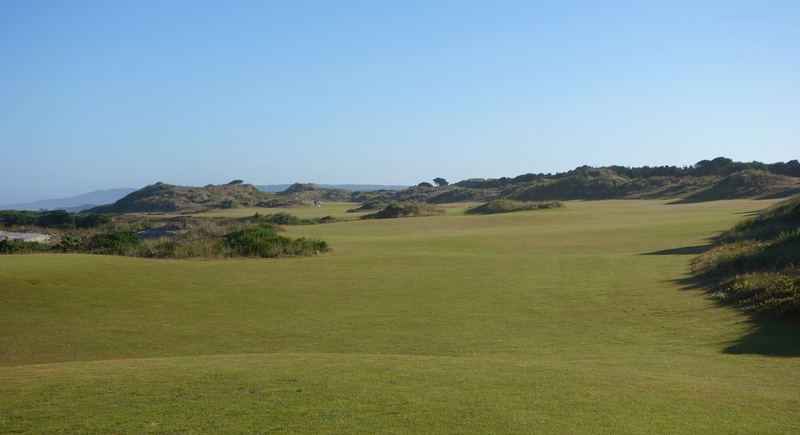 stood there and wondered, “Will people actually come out to play this course?” Bandon has come a long way since those days! 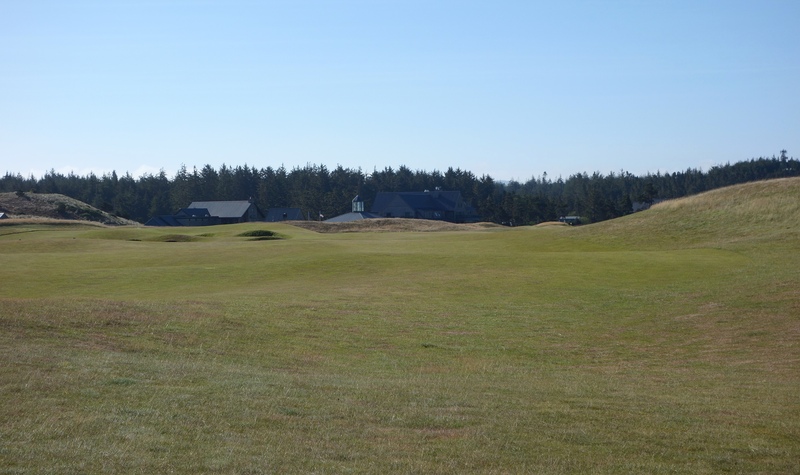 After the round on Bandon Dunes, we had a good lunch and I made my way to Bandon Trails for a solo round… the good times continued!